For all of those who think Dream in High Park or Scream in High Park just doesn’t rock out enough, this Saturday ALL CAPS! 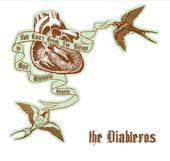 is taking over Dufferin Grove Park with eight bands including the Diableros, Stop Die Resucitate and DD/MM/YYYY. The all-ages festivities starts at 2pm and goes until 7pm. It’s PWYC and don’t forget to wear sunscreen and drink plenty of fluid kids.